One of the many problems of scooters is people riding scooters recklessly and running into people. We have already seen scooter hit and runs. This is also one of the biggest complaints when scooters move into a new industry. People don’t like scooters zooming by them on sidewalks. Some scooter companies have talked about sidewalk detection as a possible way to fix this for cities. Sidewalk detection would lower the speed of the scooter when it’s detected that the rider is on a sidewalk. These companies are, intentionally or not, deceiving cities. Sidewalk detection with an accelerometer, onboard camera, and accurate GPS is 2-3 years away, at least. 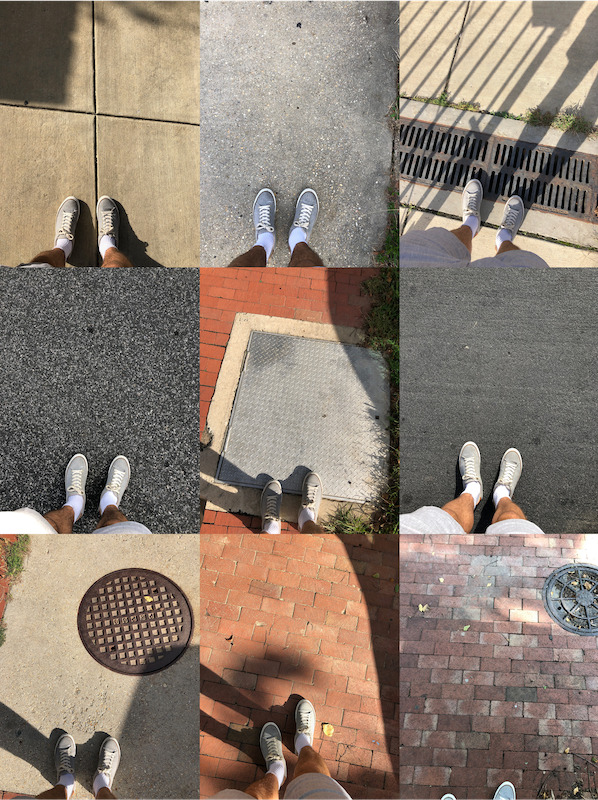 I took pictures of different parts of the street on one ordinary block in Washington DC. Just on this one block you can see how many different and overlapping types of road and sidewalk exist. While sidewalk detection is not possible at this point, broad geo-fencing can work. GPS is usually accurate to tens of meters. If you want to block off part of the city from scooters, say the Santa Monica boardwalk, you can do that.